Over the years, I've been fortunate to have had the opportunity to learn from author and consultant (turned friend), Lester Laminack. In leading a recent Writing Workshop course, I was able to share Lester's idea of "Best Friend Books" with participants. Hannah Shead ran with the idea of pulling mentor texts into her writing minilessons and conferences! I teach at a Title I school with a high English Language Learner (ELL) population and a very high transiency rate. My school is departmentalized, I teach reading and writing and my partner teaches math, science and social studies. My classrooms are both highly populated with ELL and students who qualify for Early Intervention Program (EIP). We follow the Workshop model for reading and writing blocks. I am a third year teacher. This year has been my first year teaching fourth grade and so far I have not taught the same grade twice. Previously, I taught first and second grade. I graduated from Kennesaw State University in Early Childhood Education with an emphasis in Urban Education. I recently graduated with my Master’s in reading from the University of West Georgia. What did your writing instruction look like previously? Being departmentalized has really forced me to focus on reading and writing strategies. I decided to get my master’s in reading because I felt like it was an area of weakness for me as a teacher. Focusing on reading for the past year and a half has been great but sometimes I felt as though my writing instruction was falling by the way side. I love to write so I have struggled teaching students who feel completely opposite of that. Teaching such a high population of ELL has also altered my writing instruction because I find myself having to go backwards and teach more of the basic English grammar/concepts because of my classroom population. My instruction was lacking creativity and excitement because we were so focused on the “basics.” I was bored and so were my students. We were writing but lacked a real purpose for writing. In the beginning, I really struggled with the editing process. I wanted their published pieces to be perfect and I was missing the point. My conferences were bogged down with too many strategies and take-aways, I was even writing on their papers (gasp!). My students were leaving my table with 5 sticky notes and 7 notes in the margins of their papers. They would go back to their seats and look down at their paper with no clue of what to do next. I was terrifying them of writing! Then one day I read a blog post (thanks Pinterest!) about writing instruction. All of the descriptions and photographs of the classroom and student work looked so happy and so calm. I thought back to my own classroom of papers flying, eraser dust everywhere and a light bulb came on; put the student’s writing down. Let them be owners of their work. I stress leadership and ownership in every other area of my classroom so it was time to do the same thing in writing. I started really using my writing conferencing notebook to keep myself and the students accountable for their writing. My notes were brief but gave me an idea of what we last discussed, what they are working on, their strengths as a writer, and what their writing goals were. I wrote in my notebook and not on the student’s papers. At the end of each conference, the student would write the goal we discussed in our conference on a label and stick it in the back of their notebook. As they worked independently, they had the label to refer to and at our next conference; they had a record of what their writing goals were. It has been a great way for both me and the students to stay accountable for what we are discussing in our conferences. I also struggled with planning my mini-lessons. My mini-lessons were never “mini”. Just like my conferences, I was trying to cram in too much at one time. Instead of slowly building a writing piece, I was basically giving them a prompt and one week to finish it. There was no time to try new strategies because I had a deadline that had to be met. Writing became my least favorite part of the day, (and I am departmentalized so I was teaching it twice!) and I dreaded planning for writer’s workshop. I was exhausted after my goliath of a mini-lesson and my students were too. There was no passion, no excitement, I needed some help. I began going to professional development opportunities, observing other classroom teachers, and experimenting in my own classroom. I found that when I gave my students more time to just write, they were starting to write amazing pieces! When I slowed things down and didn’t have such tight writing schedules, my students were actually trying multiple strategies and revising their pieces on their own. They were actually writing! Finally, I began to let go and gave my students more ownership of their writing. They were the ones doing the writing and I was just there to show them some new ideas to try and help them set goals. Now, writer’s workshop is actually a time of the day I looked forward to. Tell us how you began using Best Friend Books. Now that I figured out a conferencing method that was working in my classroom, it was time to focus on my instruction of writing, basically improving my mini-lessons. Thanks to a great writing class (thanks Tim!) I heard about “Best Friend Books.” I had of course heard of using mentor text to model writing but honestly, I was not implementing it. I was using this strategy in reading, but for some reason I just never carried it over to writing. We read books in writing but never looked closely at them to understand what strategies the author was using to keep our attention. Right away I loved the idea of having a set of books that the students are familiar with and using them to model what great writers are doing in their pieces. These are books that I could read at the beginning of the year and refer back to all year. 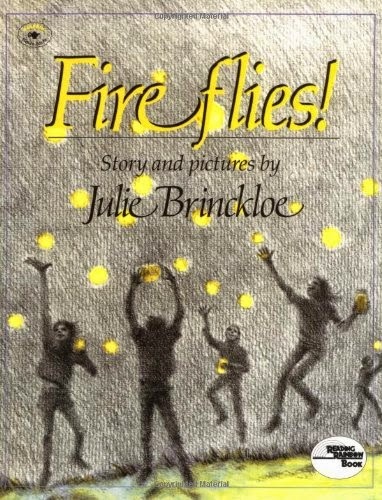 Using mentor texts in writing has been really helpful and fun with my students. 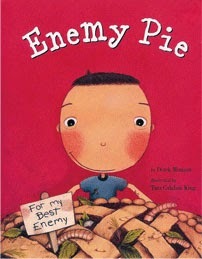 I started with Enemy Pie by Derek Munson. 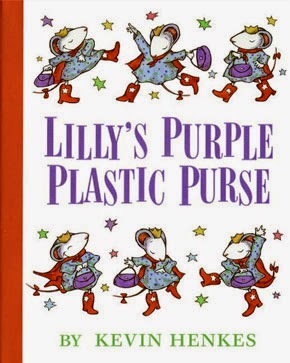 This was a book we read as a class in the beginning of the year and that my students were very familiar with. They love this book! We were reviewing narrative writing and this is such a fantastic book to use as a mentor text to model strong narrative writing. 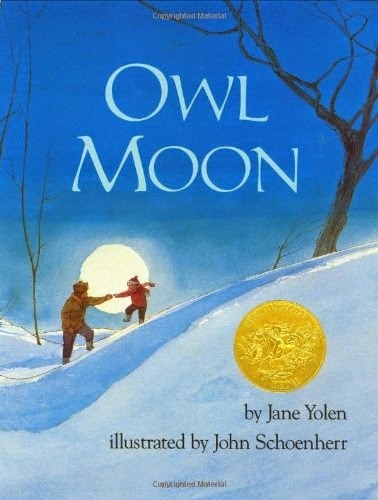 We re-read the book and talked about it as a class before I used it in writing. Then, in writer’s workshop, we used it to talk about elements of narrative writing as well as to model a strong narrative lead. Each day, we focused on a small section of the text and discussed how the author used a writing strategy, why he chose to use descriptive language, etc. I would then model a strategy to use based on the mentor text, then the students would practice on the carpet, discuss their ideas with a partner, and go to their writing places to write using the strategy. I would see the students going back to the book and discussing how they could use ideas from the text in their own writing. The students are excited about their pieces and cannot wait until our closings to have the opportunity to share their writing. I have never seen some of my students so motivated! Using this mentor text in writing has made my planning and modeling so much easier! Everything I am looking for is in the text and I have plenty of examples to choose from. (My writing is improving as well because I am modeling after a stronger writer.) I am thrilled that I now know about best friend books. I can’t wait to use them for the remainder of this school year, and I am even more excited about using them on day one next year. I definitely think I found a BFF for life in mentor texts! Hannah, thank you so much for sharing how your writing instruction has grown! Your students will benefit greatly from closely studying the work of published authors and then implementing similar strategies to strengthen their own writing! Readers, in the comments section, feel free to add strategies you could also teach using these texts or share some of your own Best Friend Books!